What do you call the unthreaded shank of a bolt? The unthreaded portion of a headed bolt is called the grip. 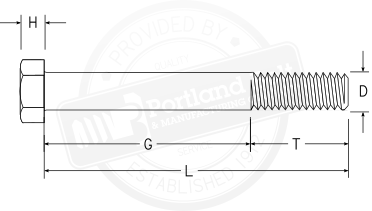 The length of all headed bolts (except countersunk head bolts) are measured from underneath the head to the end of the threads. The overall bolt length is made up of thread length plus grip length.